for Fast-/High-Speed AFM, the USC-F0.8-k0.1-T12, was used for the acquisition of the AFM images in this interesting publication. 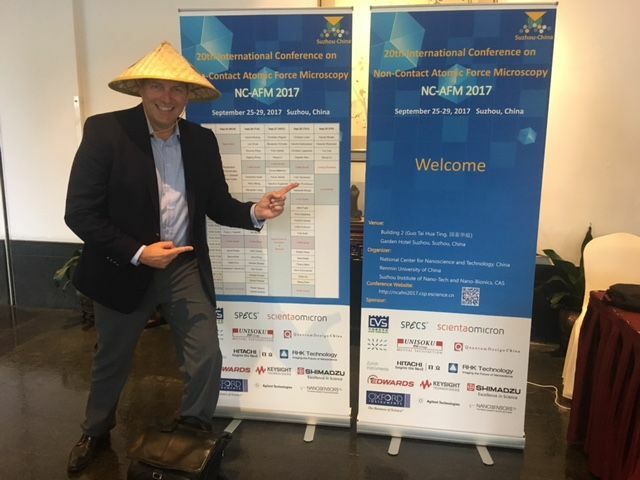 The use of cryosectioning facilitates the morphological analysis and immunocytochemistry of cells in tissues in atomic force microscopy (AFM). The cantilever can access all parts of a tissue sample in cryosections after the embedding medium (sucrose) has been replaced with phosphate-buffered saline (PBS), and this approach has enabled the production of a type of high-resolution image. The images resembled those obtained from freeze-etching replica electron microscopy (EM) rather than from thin-section EM. 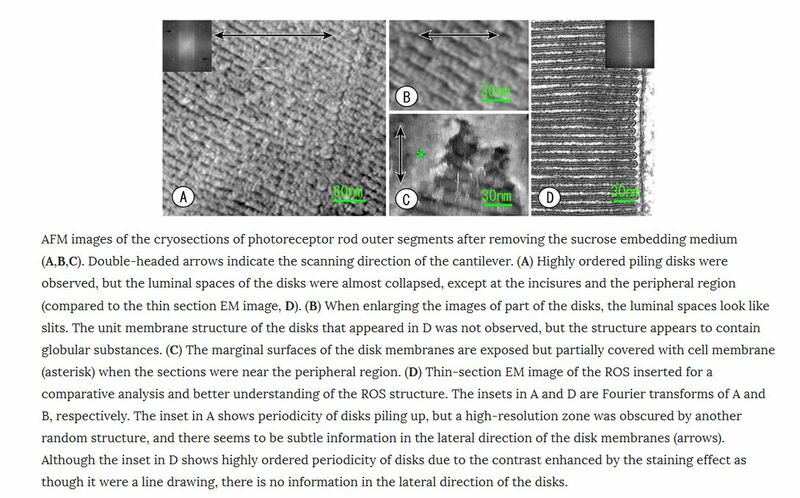 The AFM images showed disks stacked and enveloped by the cell membrane in rod photoreceptor outer segments (ROS) at EM resolution. In addition, ciliary necklaces on the surface of connecting cilium, three-dimensional architecture of synaptic ribbons, and the surface of the post-synaptic membrane facing the active site were revealed, which were not apparent using thin-section EM. AFM could depict the molecular binding of anti-opsin antibodies conjugated to a secondary fluorescent antibody bound to the disk membrane. The specific localization of the anti-opsin binding sites was verified through correlation with immunofluorescence signals in AFM combined with confocal fluorescence microscope. To prove reproducibility in other tissues besides retina, cryosectioning-AFM was also applied to elucidate molecular organization of sarcomere in a rabbit psoas muscle.